Google has teamed up with NASA to create football-ball sized robots that can zip around the International Space Station and assist astronauts – and they’re launching into space next week. Propelled by tiny blasts of CO2 at about an inch per second, the spheres incorporate smartphones p0wered by Google Tango’s next-generation 3D sensing technology. Although the technology is still being developed, NASA plans that the handsets will give their Synchronized Position Hold, Engage, Reorient, Experimental Satellites (SPHERES) the ability to take over daily chores for astronauts, and even hover outside the craft to take care of risky jobs. We wanted to add communication, a camera, increase the processing capability, accelerometers and other sensors. As we were scratching our heads thinking about what to do, we realized the answer was in our hands. Let’s just use smartphones. Project Tango handsets include a motion-tracking camera and an infrared depth sensor, sand these are capable of creating a 3D map that lets the SPHERES swish from one module to another. 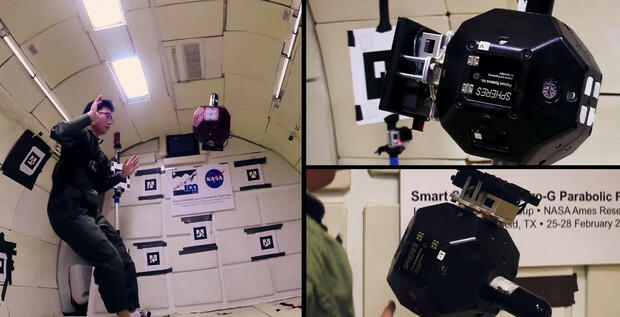 The Project Tango phones will be aboard a cargo spacecraft scheduled to launch on July 11, 2014.